Allied Graphics has a highly sophisticated digital print and finishing facility. 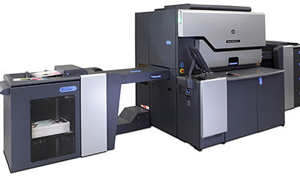 New technology and equipment is an integral part of our commitment to quality and with this in mind we can offer printing on both the Indigo 10000 & KM 1085. Not only do we continually aim to identify and supply your needs, we also aim to help expand your design and print horizons. The Konika 1085 & Indigo 10000 delivers this and more with an extended range of stock weight and size options opens up a myriad of exciting new opportunities for designers and print users. On-demand printing is the ability to print exactly the quantity you need, when you need. 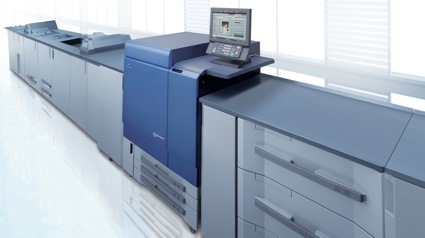 This eliminates waste and excess stock levels and gives the power of print back to the originator of the document. Your printing is handled by industry qualified professionals who take as much pride in its presentation as you did in its preparation. At Allied Graphics we produce professional colour and black & white printing direct from disk or via file transfer, specialising in short to medium run projects. Because of the advantages of digital printing we can produce your printed piece is less time, with less waste which means lower costs when compared to traditional offset printing. Part of our commitment to quality is our onsite print finishing facility which enables us to oversee the quality of your job from the time of printing through to its completion.